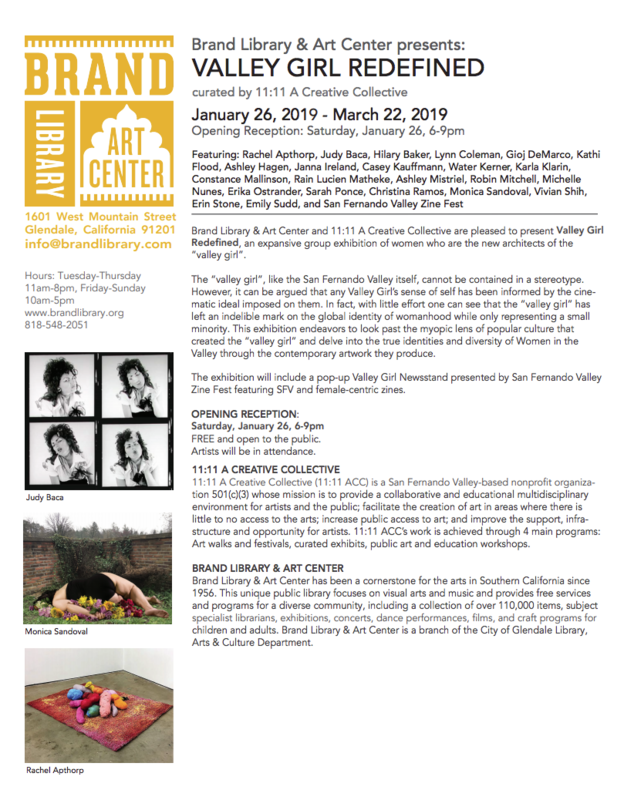 Judy Baca to attend “Valley Girl Redefined” Opening Reception - SPARCinLA We are SPARC: Art | Community | Education | Social Justice SPARC | Social & Public Art Resource Center | Creating Sites of Public Memory Since 1976 | Founded by Judy Baca, Donna Deitch & Christina Schlesinger | SPARC is a community cultural center that creates public art as a vehicle to promote civic dialogue, foster cross-cultural understanding, and address critical social issues. We accomplish our mission by producing, preserving and presenting community-based public art. SPARC is a facilitator Ð finding ways to tell richly textured stories that help community participants and artists achieve a measure of change and transformation. amongst a group of artists, and the public. The opening reception is free and open to the public!